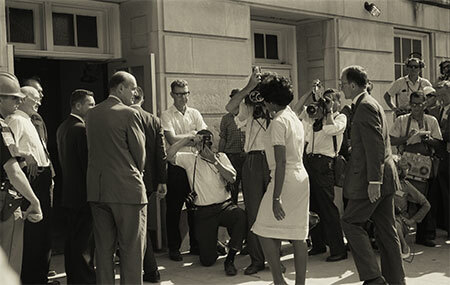 May 17, 2004 marked the 50th anniversary of the unanimous Supreme Court decision in Brown v. Board of Education, which outlawed segregation in public education. 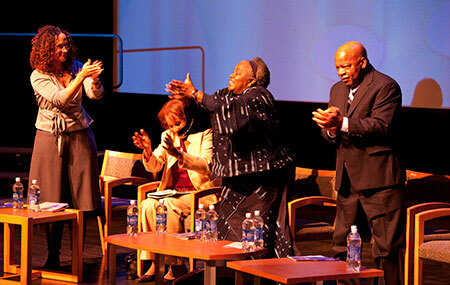 In commemoration, Maryland Humanities launched the special Initiative, Brown v. Board of Education – Context and Legacy. Maryland Humanities partnered with nearly 40 cultural, historical, educational, legal and community organizations from all over Maryland. Initiative highlights included an expanded Speakers Bureau, a magazine exploring Brown and the Civil Rights movement in Maryland, a student essay contest, Brown-related grants, a traveling exhibition based on oral history interviews about desegregation in Frederick County in central Maryland, broadcasts on Maryland Public Television, lectures and a curriculum guide developed by Prince George’s Community College, and radio programs. 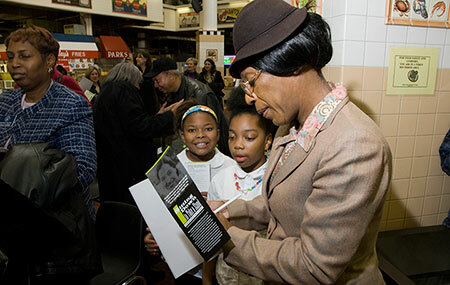 With the Brown v. Board Special Initiative – its first – the Maryland Humanities reached almost 400,000 people in Maryland. 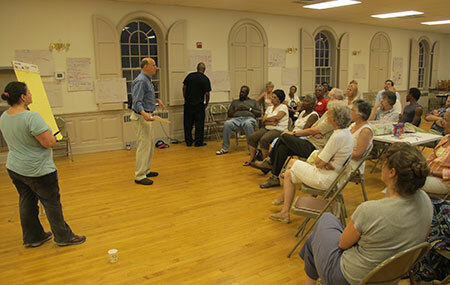 Community Conversations was a series of Maryland Humanities-facilitated discussions that encouraged groups to tackle tough issues using humanities materials to spark conversation. 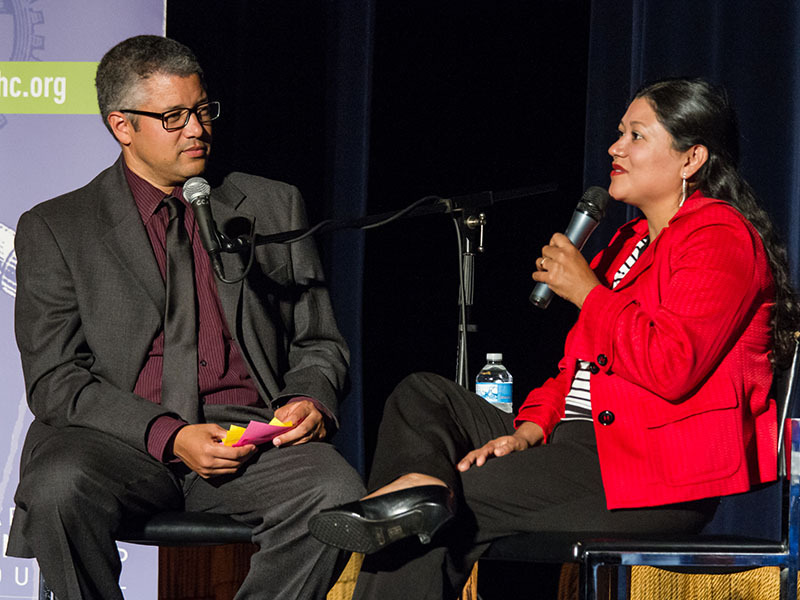 Communities brought their voices, perspectives, and opinions together in dialogue. Maryland Humanities provided this program from 2007 through 2009 to organizations with humanities-based materials, web-based tools, and trained facilitators. From the optimism of his historic “I Have a Dream” speech, to the fractures revealed following his assassination, Dr. King remains a central figure in our nation’s ongoing dialogue on race. In 2007 and 2008, 40 years after the assassination of Dr. King, the Dr. Martin Luther King, Jr. – Remembrance and Reconciliation special initiative used the humanities to stimulate open, inclusive conversations about race, one of the most critical — and difficult — issues in our state. Through cross-racial dialogue, Maryland Humanities engaged Marylanders in an examination of the legacy of Dr. King, the state of race relations in their communities, and ways to bridge the racial divide and resolve racial differences. The Meaning of Service was a national reading and discussion series for AmeriCorps and volunteer service organizations brought to Maryland by Maryland Humanities from 2010 to 2013. This program invited service volunteers to join in facilitated discussion groups to read short texts to stimulate conversations about what it means to serve, give and lead. Participants reported that the reading and discussion sessions challenged them to think more deeply about their impact on others, helped them examine the complexities of service, and improved their ability to communicate their values and ideas to others. 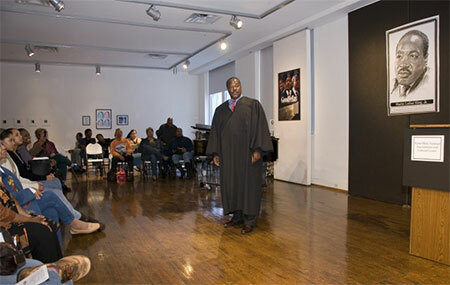 The final event of the 2008 MLK Special Initiative, Music of the Movement: A Sustaining Voice, featured a discussion of the music of the Civil Rights Movement–past and present. Congressman John Lewis and Dr. Bernice Johnson Reagon joined scholars Dr. Portia Maultsby and Dr. Tricia Rose to discuss how field hollers and spirituals became protest songs, how soul singers and funk musicians joined forces with the Civil Rights Movement, and how hip hop has influenced Civil Rights over the past two decades. Picturing America, a past initiative from the National Endowment for the Humanities, brought great American art into classrooms and libraries nationwide. 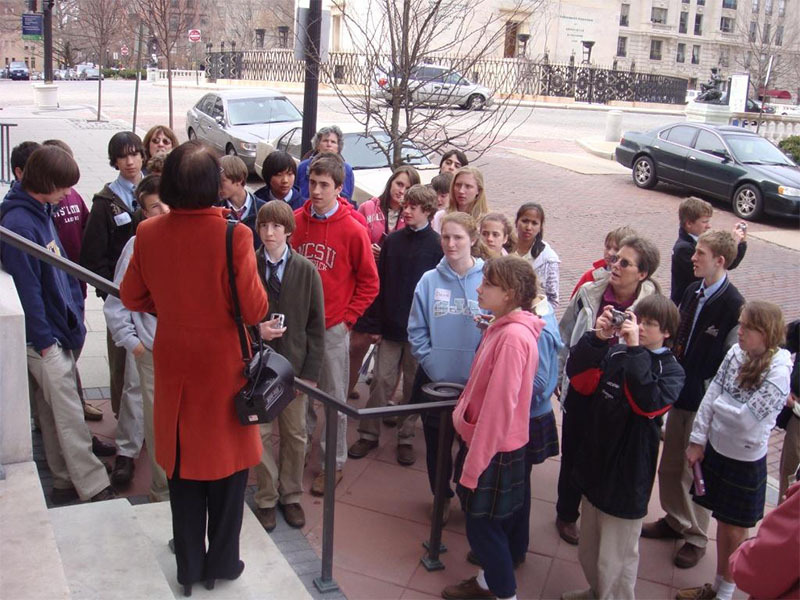 Maryland Humanities brought this national program to classrooms across Maryland in 2008 and 2009. Through Picturing America, students and citizens gained a deeper appreciation of our country’s history and character through the study and understanding of its art. The nation’s artistic heritage—our paintings, sculpture, architecture, fine crafts, and photography—offers unique insights into the character, ideals, and aspirations of our country. 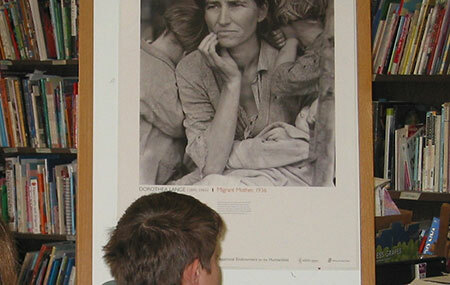 Through 40 reproductions of notable American art alongisde teacher resources, students experienced the humanity of history. Practicing Democracy brought Marylanders together and provided an opportunity for people of divergent views to convene for passionate, respectful, and effective civic dialogue. 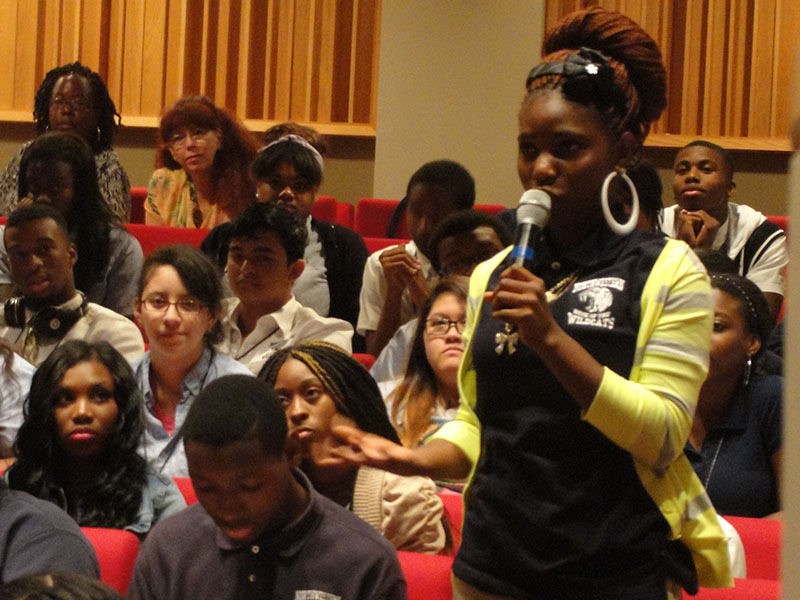 Practicing Democracy used the humanities to create a safe, shared space for open dialogue. This program kicked off in 2011 and continued through 2014. In 2013, the Defying Definitions project explored identity, stereotypes and diversity and challenged participants to reflect on how they perceive others, how they are perceived by others and what they understand about themselves. 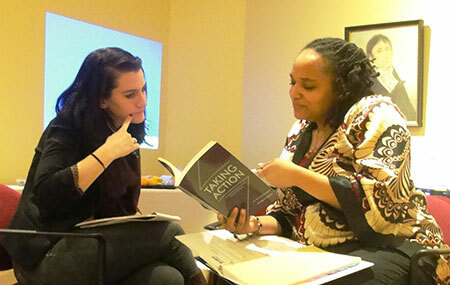 In 2014 Defying Definitions moved to Maryland college campuses, where selected partners offered programs to address campus-specific issues using the humanities to spur dialogue on stereotypes, diversity, and identity. Let’s Be Shore used the humanities to bring people with multiple perspectives together for passionate and respectful dialogue about land use and agriculture and their effect on water quality along Maryland’s Eastern Shore. From May to October 2012, over 10,000 Marylanders engaged in civil dialogue with Let’s Be Shore, both online and at local events. Rosa Parks became an icon of the American Civil Rights Movement by courageously refusing to give up her seat on a Montgomery, Alabama commuter bus on December 1, 1955. This act sparked the Montgomery Bus Boycott, which lasted for more than a year. It also thrust the Rev, Dr. Martin Luther King, Jr., as leader of the boycott, into the forefront of the African American struggle for justice and equality. 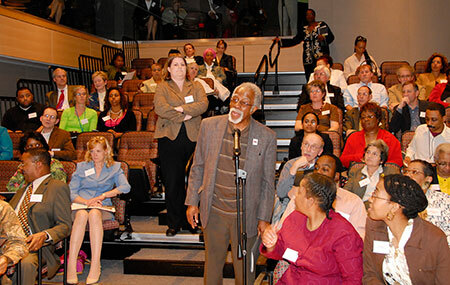 Maryland Humanities honored the memory of Rosa Parks with Sitting Down to Take a Stand—Remembering Rosa Parks, a 4-month long, multi-faceted celebration centering on December 1, 2008. 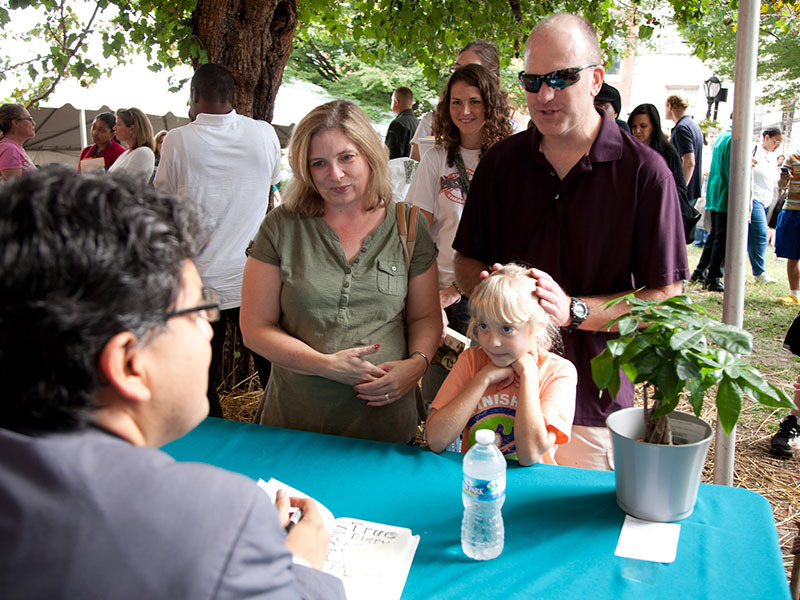 In 2016 Maryland Humanities commemorated the centennial of the Pulitzer Prizes with a year-long series of events. These events were part of the Pulitzer Prizes Centennial Campfires Initiative, a nationwide celebration funded by the Pulitzer Prizes, in partnership with the Federation of State Humanities Councils, and made possible through a $1.5 million grant from the Andrew W. Mellon Foundation. 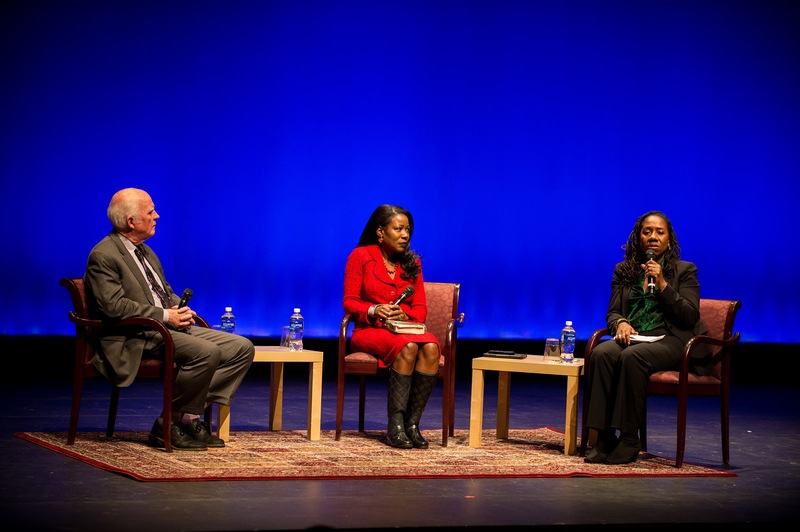 Programming kicked off in March 2016 with panel discussions featuring acclaimed journalists discussing their craft and culminated December 6, 2016 with a special event featuring Pulitzer Prize-winning author-historians Taylor Branch and Isabel Wilkerson in a conversation moderated by Sherrilyn Ifill of the NAACP Legal Defense and Education Fund.